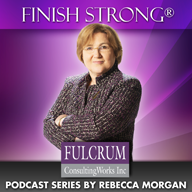 Complacent Competency | Fulcrum ConsultingWorks Inc. When a company has made significant gains in operational efficiency and believes it has an ingrained improvement mentality, it can be tempting to let the foot off of the brake. I call that complacent competency. It can begin to sneak in slowly, and before you know it employees are no longer challenged and customers no longer thrilled. Leadership can never become complacent.